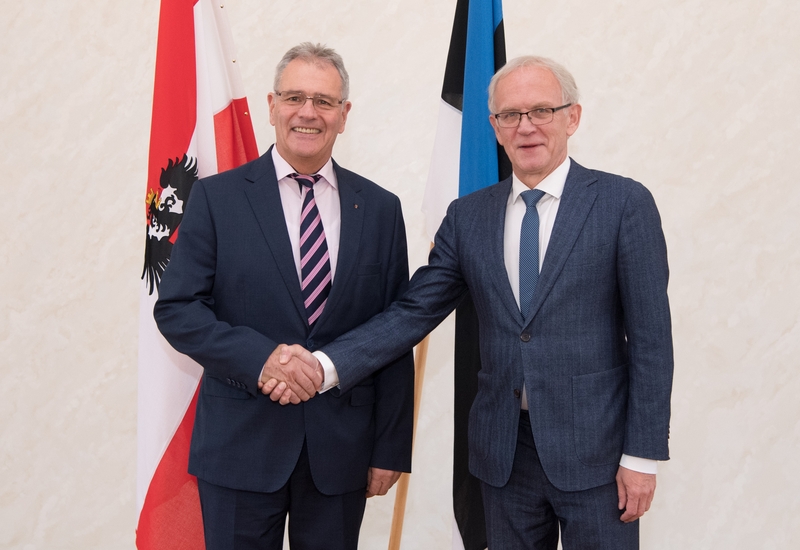 Future of the European Union and digitalisation of public services were discussed at the meetings of President of the Riigikogu (Parliament of Estonia) Eiki Nestor and the European Union Affairs Committee of the Riigikogu with the President of the Federal Council of Austria Edgar Mayer. Nestor also gave his Austrian colleague an overview of the e-voting and the digital services in Estonia. Nestor said that the people of Estonia were used to digital life, and when something happened in that sector, the state took it very seriously. In his opinion, speaking of problems honestly increases trust. 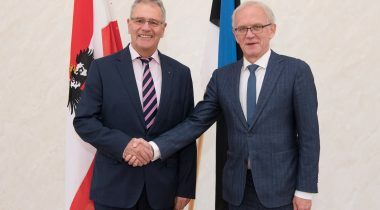 Domestic policy developments in Austria were also spoken about at the meeting. Mayer said that Austria was facing a totally new future which could start to influence the future of Europe. Nestor expressed hope that the new government of Austria would be European-minded. According to Vitsut, the discussion on the future of the EU was very lively, and it will also be one of the key topics at the Conference of Parliamentary Committees for Union Affairs of Parliaments of the EU, which will be held in Tallinn at the end of November. Vitsut pointed out that besides greater involvement of national parliaments, more efficient decision-making process, which meant moving towards centralised decision-making, was often emphasised. In Palling’s opinion, increasing the role of member states is welcome. He thinks that implementation of the jointly taken decisions is crucial. “The fact that some member states do not follow the decisions that have been taken increases scepticism,” Palling said. As regards Juncker’s proposals for the future, the issues relating to defence cooperation and increasing of defence capability are the most important for Estonia. Speaking of Juncker’s plans, Madison said that security and asylum policy were sensitive topics where the states had different viewpoints and where over-regulation would not have a positive impact on the health of the European Union. In his opinion, one of the measures that could relieve tensions would be returning the decision-making authority to the member states in certain issues, like restoring the border control in member states. Photos of the meeting of Eiki Nestor and Edgar Mayer and of the meeting in the European Union Affairs Committee.